Buenos Aires, Argentina. The Laurak Bat Basque Club in Buenos Aires just announced the date for this year’s “Buenos Aires Celebrates.” The largest Basque event in the Argentine capital city is planned for Sunday, May 12, 2019, from noon to 6pm, on the Avenida de Mayo as usual, just meters from the Cabildo and Presidential Palace of the country. This eighth edition maintains the goals as prior editions, “to convert the center of the city into a magnificent showcase to share our culture and identity,” club sources said. 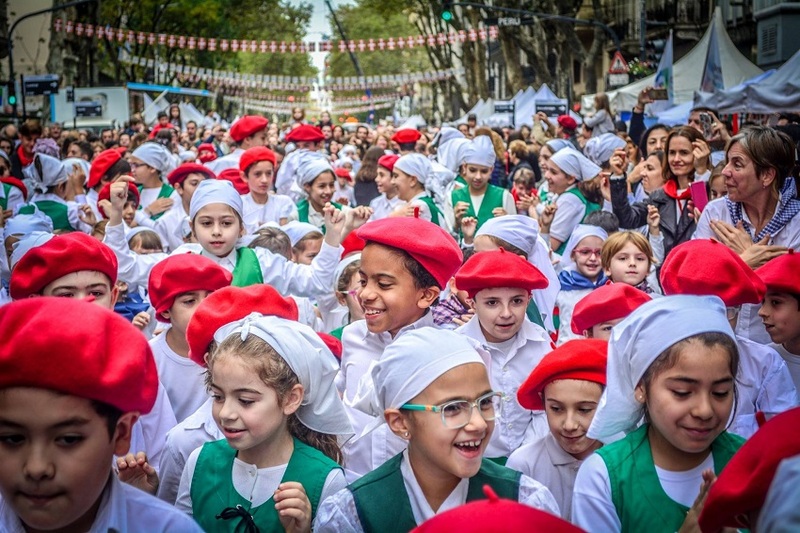 Organizers call dantzaris, Basque students and teachers, musical groups, food groups, drummers, artisans, aizkolaris and representatives of all the Basque cultural activities that are carried out in the Basque clubs. During the coming weeks, directors of each of the areas of organization will get in touch with the clubs. For more information email: secretaria@laurakbat.com.ar.